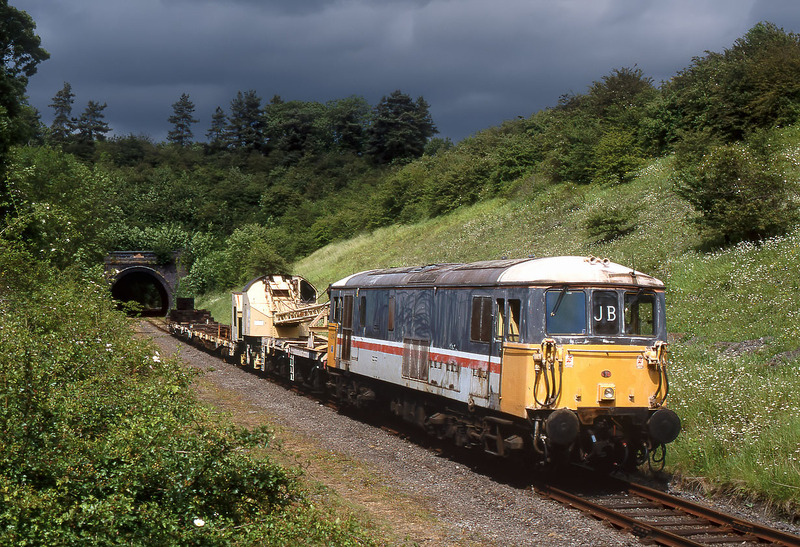 73141 is pictured in some dramatic lighting just to the south of Barnston Tunnel, on the Great Central Railway (North) on 16 June 2002. It is a lot easier taking pictures like this on a freight charter (in this case organised by the East Midlands Railway Photographic Society), as the train is just parked up and you wait for the appropriate lighting conditions to come along! Barnston Tunnel is only 110 yards long, and despite being on a curve, you can just see through it in this picture.